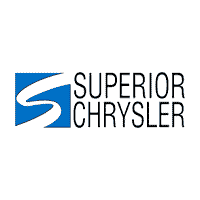 New Vehicle Inventory | Superior Chrysler Center in Superior, WI " "
Thanks to our wide selection of new vehicles for sale, you’re certain to find the new car of your dreams at Superior Chrysler Center. With excellent options like new Chrysler Pacifica vans and new Jeep Renegade SUVs, new Ram 1500 trucks, new Dodge Durango SUVs, and other top new vehicles from brands you trust, you can’t go wrong at our new car dealership. Excited to test drive some of our top new vehicles in Superior, Wisconsin? Stop by now and get behind the wheel right away. Thanks to competitive pricing throughout our entire new car inventory, not to mention topnotch new specials to help you save even more on a sweet new Jeep model or new Ram model, keeping some extra money in your wallet is always an option at Superior Chrysler Center. Whether you take the next step with our online payment calculator or our online auto financing application, be sure to pick up the phone and give our new car dealership in Superior, WI a call today. Thinking about trading in your vehicle and buying or leasing one of our reliable new vehicles in Superior, WI? When you value your trade at Superior Chrysler Center, you’ll receive top dollar to then put towards one of our new Chrysler models, new Dodge models, or other fantastic new cars. To make your next move, do yourself a favor and give our new car dealership a call now.